Can a Suit Change A Life? We think so. Client, David August, is helping rehabilitated men coming out of the L.A. Mission and New York Rescue Mission get a second chance at life with Suited For Change. 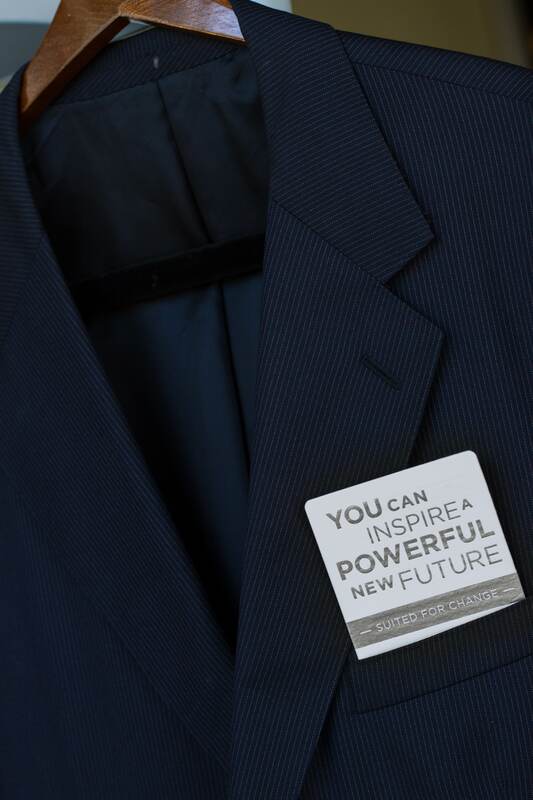 Deserving men receive gently worn business attire that gives them the personal power and confidence they need to go on interviews and rejoin the workforce. 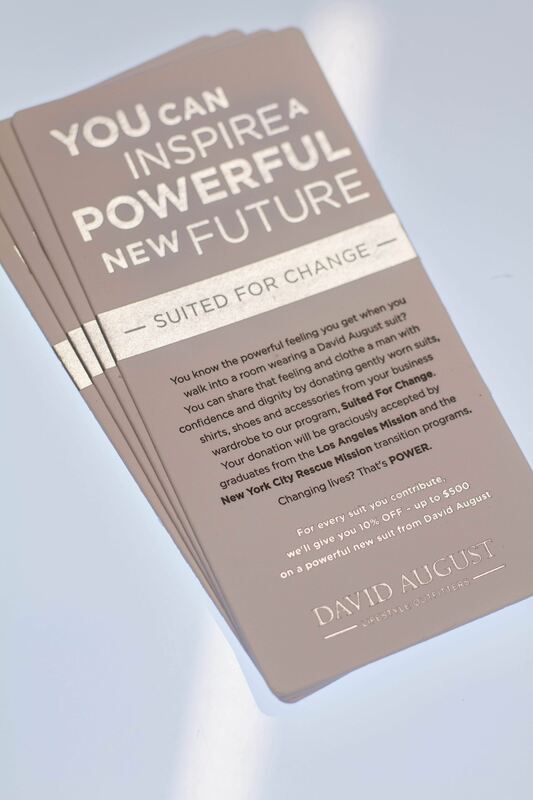 We created inserts which are placed directly in the pocket of all those power suits in the David August show room. Check out the inserts below! 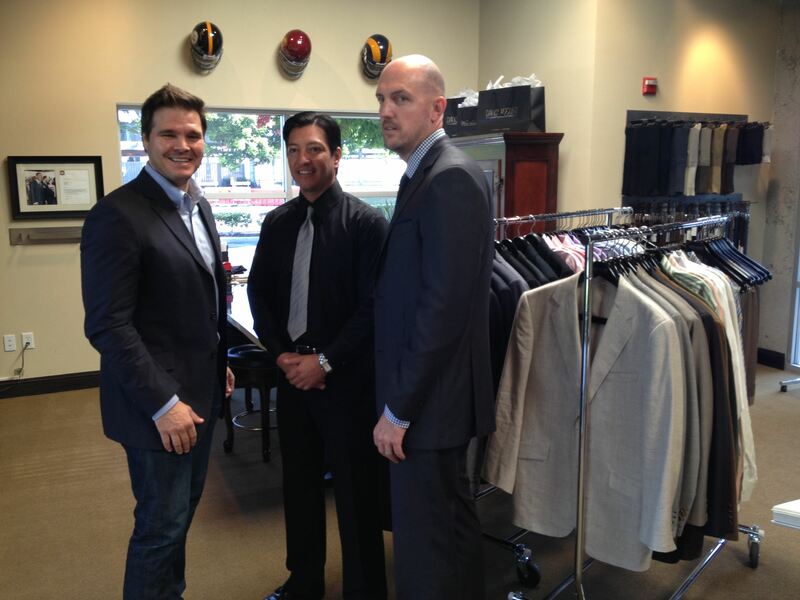 And if you are in the area, why not make an appointment to pick up your suit and change someones life!